Even if you go out of your way to buy the freshest organic vegetables you can find, you do not only run the risk of losing all its healthy goodness or messing up its flavor profile if you don't know how to prepare and cook them properly. When it comes to adapting the Paleo diet, you definitely don't want your efforts and money down the drain, right? And the last time you want is to resign yourself to spending a lifetime eating mush. Paleo diet can be healthy and delicious. Yes, its a diet that doesn't have to feel like you are sacrificing or depriving yourself of the good stuff. 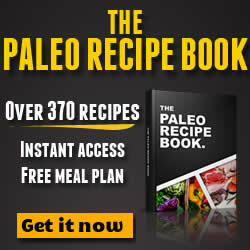 So first things first, if you already have the Paleo Diet Food List Guide, it's about time you get a crash course on how to properly cook your vegetables to retain and maximize its healthy goodness. One of the worst things you can do to vegetables is boiling them in water, since it could result to all its nutrients. Have you noticed that the water turns green when you blanch a broccoli? That color is actually an indication that the Vitamin B and C have leeched the water. With this in mind, it is important to use very little water when cooking vegetables, unless of course if you are preparing a soup. In such cases, you don't want to overcook your veggies. Steaming or using the microwave with little water will provide you the save result as boiling your blanching your vegetables, but with very minimal loss in nutrients. So if you are preparing mashed potatoes, consider steaming them instead of boiling to best retain the nutrients. For other vegetables such as asparagus and broccolu, consider microwaving them. Its no secret that Paleo diet promotes the use of healthy fat and this can be applied to your veggies. For example, when steaming vegetables, its actually best to drizzle them with olive oil or stir-fry them in order to enhance the flavors as well as retain important nutrients such as Vitamin K, Vitamin D and carotene. Of course, serving them raw with a good vinaigrette is always a great option. You should also learn how you can spice up your Paleo cooking with herbs and spice. 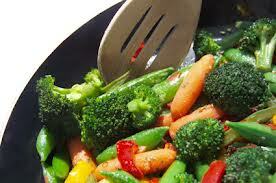 Vegetables such as broccoli, spinach and kale are widely recommended as they are known to contain high levels of iron. But more often that not, it passes through the body undigested. Having said that, the best way to ensure vegetable nutrients in your Paleo diet recipes are properly is to add some citrus to aid in the proper absorption. You can use an dash of lemon, line, grapefruit juice or orange. Wash before cutting since chopping vegetables breaks down the cell walls, which can allow nutrients to escape. By washing it first, you can prevent the nutrients from leeching. Cook cut vegetable immediately to keep the nutrients intact. Cut vegetables in larger and uniform pieces to avoid too much nutrient loss.